If you’re in the Midwest, get your hands on some of these cans. In 2016, Short’s Brewing Co. has been fast to conquer some firsts. Earlier this year, the Elk Rapids, Mich., craft brewer started distributing its beer outside of its home state for the first time. Now, it’s just announced plans to package its beers and Starcut Ciders in cans for the first time. What’s next? Sending these canned craft brands to CBB’s homeland of Ohio? Yep (check out this story). As far as cans, the initial roll out will include Huma Lupa Licious (India Pale Ale), Soft Parade (Fruit Rye Ale), Local’s Light (American Lager), and Space Rock (American Pale Ale). Octorock, a semi-sweet hard cider will complete the lineup. 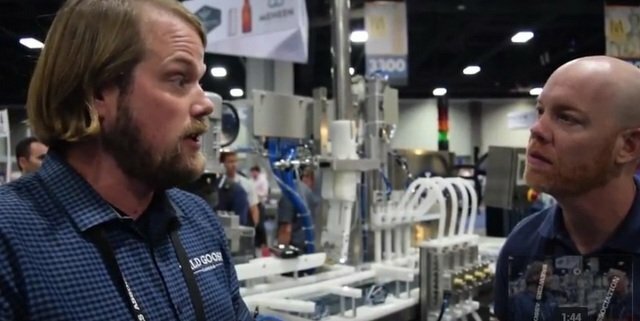 Manufactured by Wild Goose Canning of Boulder, Colo., the WGC-250 canning line with semi-automatic depalletizer and twist rinser will be able to fill 42 cans per minute at top speed. The canning machine will be installed this month with cans available in April.